Course Website: Official Website - Visit The Club at Viniterra's official website by clicking on the link provided. 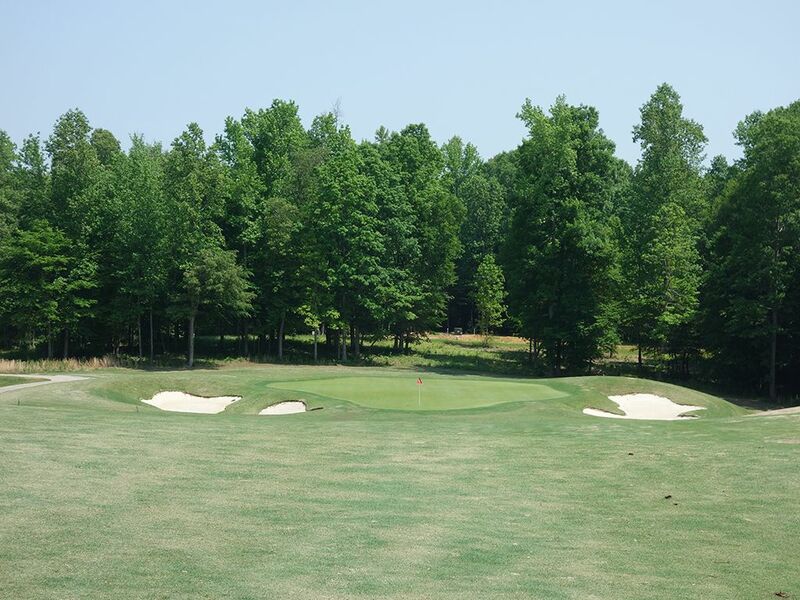 Accolades: Ranked 9th in Virginia on Golf Course Gurus' Best in State list. 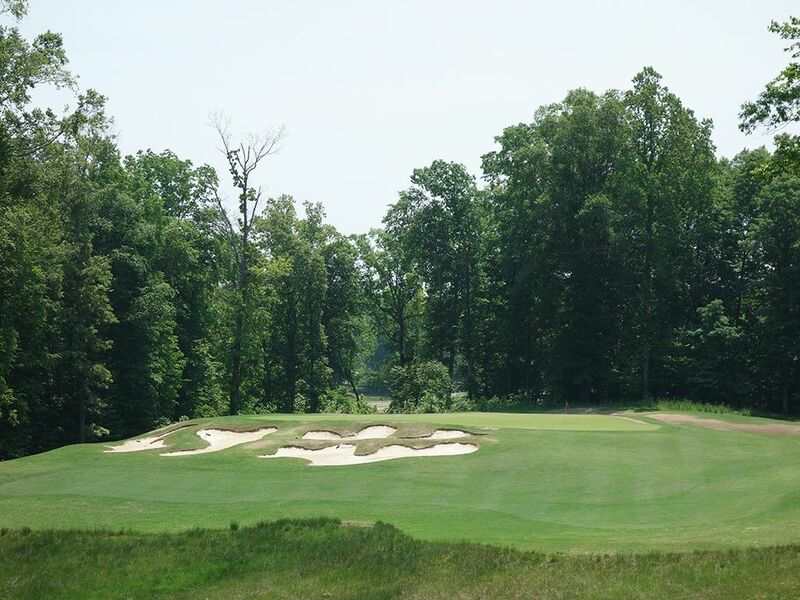 What to Expect: Viniterra is a public course 30 minutes east of Richmond, VA that features a design by Rees Jones. Typical of other courses the Open Doctor has worked on, the hole designs have a similar look and feel to them with bunkers consistently being found in the driving zone and pinching the greens. Aesthetically the holes have a tendency to blend together due to the bunkering style combined with the tree lined look of every hole. Ultimately the holes are solid but not compelling in their entertainment or architectural offering. 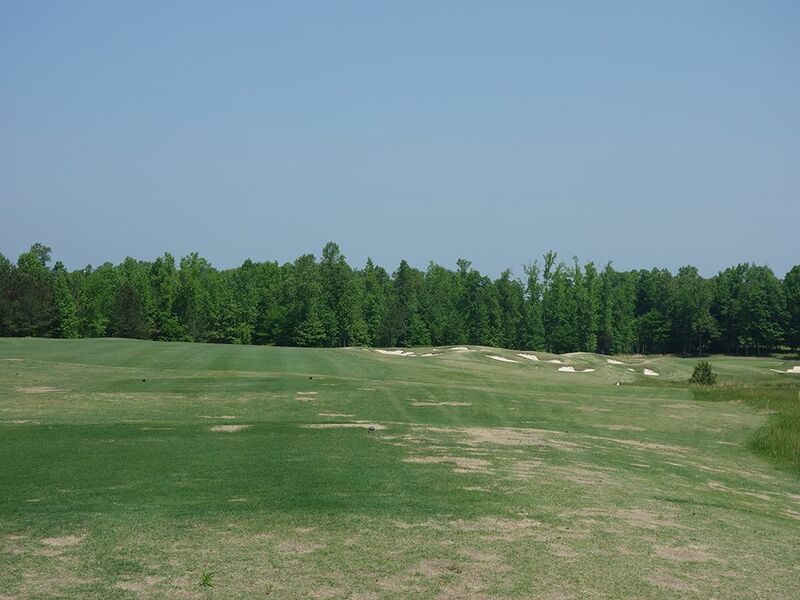 While the conditioning of the tees and fairways can be sparse at certain times of year, the turf quality of the greens creates good surfaces to roll your ball on. 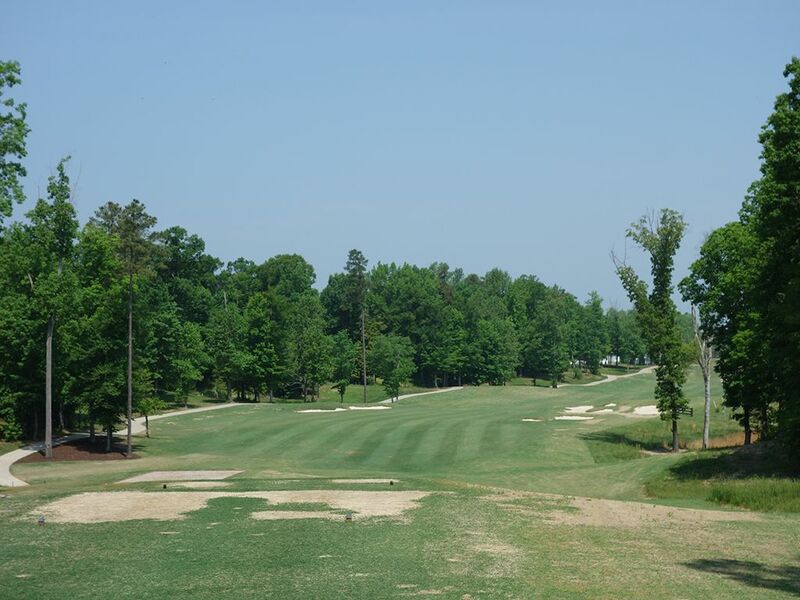 The club is functioning with a temporary clubhouse and limited fleet of carts but still stands as one of the better public courses you can tee it up on in the Richmond area. 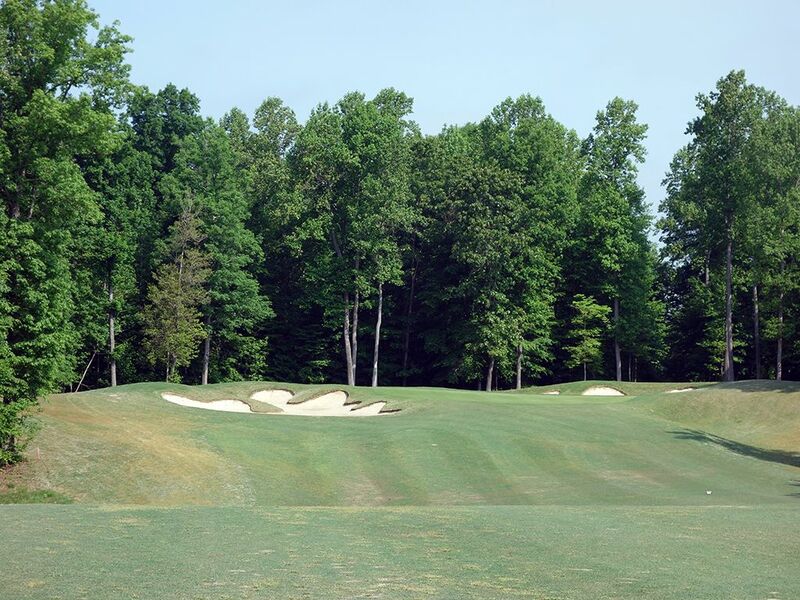 Signature Hole: 1st Hole – 570 Yard Par 5 – Four bunkers hound the driving zone of this opening three-shotter; three of them on the right side protecting the corner of the dogleg. 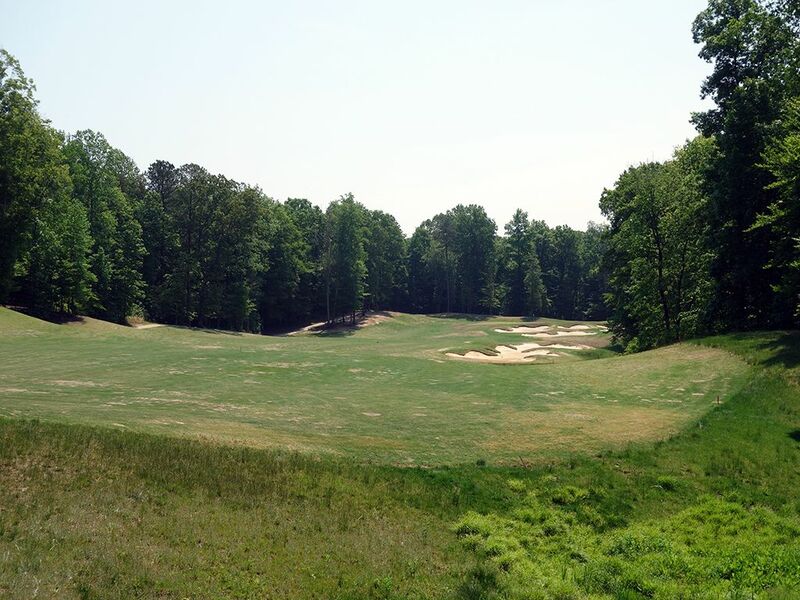 A successful drive will leave players with an approach shot to an amphitheater green pinched in front by a pair of bunkers. The bowled surrounding help deliver confidence to golfers looking to take a rip at the green in two and start off their round with an early birdie. Bunkers in the driving area and surrounding the green is classic Rees Jones and this hole sets the tone early for the rest of the round. Best Par 3: 8th Hole – 188 Yards – The attractive 8th plays slightly downhill to a horizontal green fronted by four bunkers with the right third of the green being the only vulnerable spot if attacking with the ground game. From the forward tee boxes on the right side a much easier angle is offered with the only trouble being on the left. 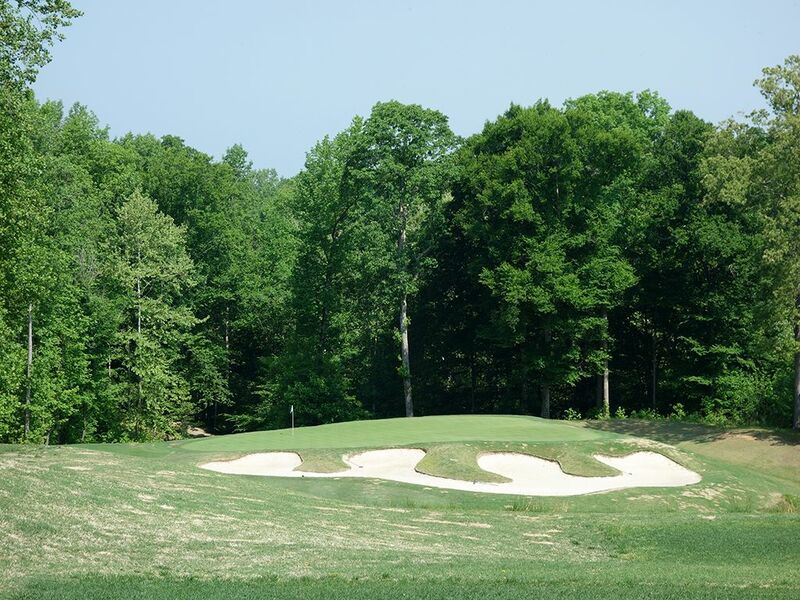 The par threes have a pretty similar look and feel, so if you can conquer this one you are well on your way to a good score on the one-shotters at Viniterra. 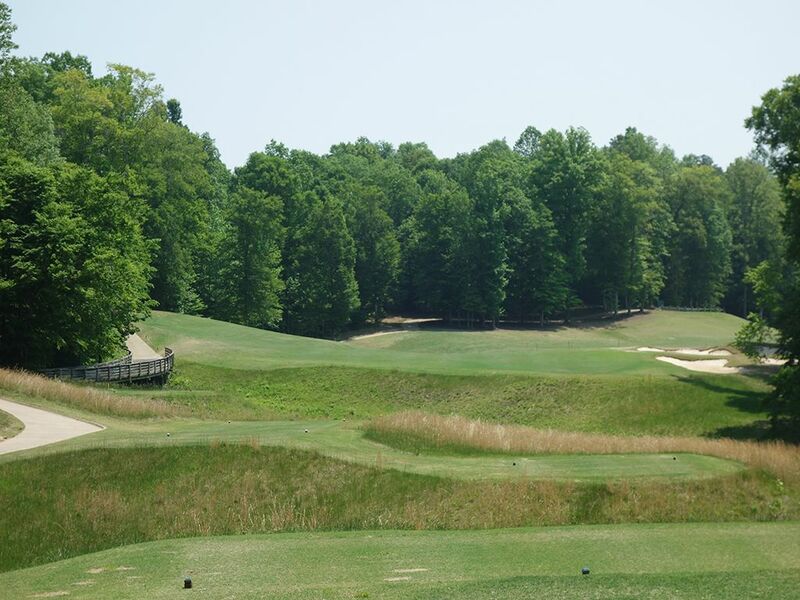 Best Par 4: 2nd Hole – 489 Yards – The 2nd hole is a great risk/reward opportunity that can add or subtract a stroke from your score pretty quickly depending on how you play it. The fairway bends right around a bunker complex and if you can bomb your drive over it, or thread it between the bunkers and the pond on the right, then you significantly reduce the yardage into the green. If you are down by the pond then the hillside may block your view of the green but you'll also have a much more comfortable club in your hand to attack the flag with. Playing left of the bunkers gives you plenty of fairway to work with but likely over 200 yards into the green to cover on your second shot. So I guess the question when you pull out your driver is, "Do you feel lucky?" 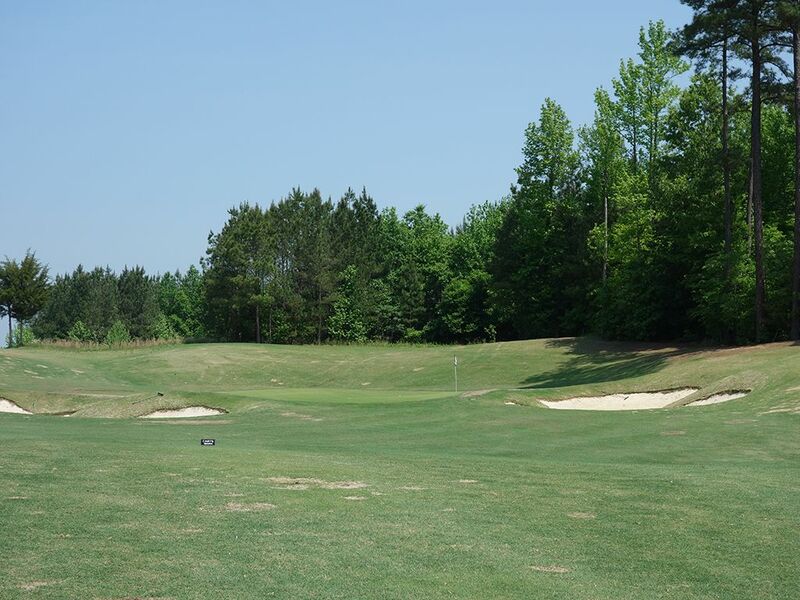 Best Par 5: 4th Hole – 560 Yards – Some strategy comes into play on the 4th hole with the rolling fairway being pinch on the right by a bunker complex and on the left by a row of trees. If you sneak your ball up by the bunkers then you have less distance to cover if going for the green in two while playing up the left side is safe but turns the hole into a three-shotter. 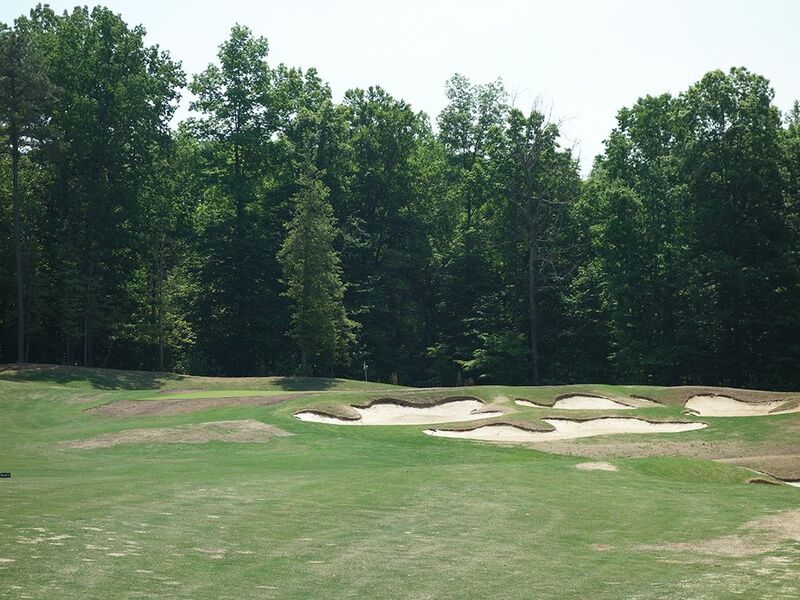 Bunkering on the right side continues to be the theme with a 75 yard long fairway bunker sitting in the layup area and four more bunkers engulfing the starboard side of the green. As such, going for the green in two will require a big carry over all of the sand or a power fade that starts up the left side and works its way to the opening from the left side of the green. It is perhaps the most memorable and strategic hole at Viniterra with some nice movement in the terrain. Birdie Time: 16th Hole – 163 Yard Par 4 – The downhill 16th is the most vulnerable hole at Viniterra and the easiest green in regulation of the day. With a scoring club in your hand you can take dead aim at the pin placement for the day and go hunting for a birdie. The green tilts right to left so error on the side of missing to the right where the slope will bring you back to the flag. This is a great opportunity to score late in the round so take advantage of it. 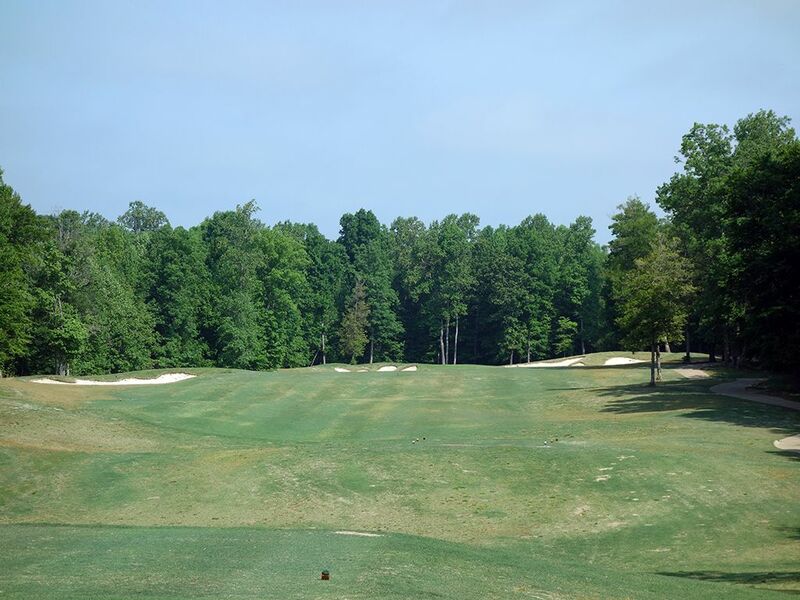 Bogey Beware: 13th Hole – 472 Yard Par 4 – Long and straight; the dreaded combination where there is no cheating off the distance in an effort to lighten the load. This is 472 yards of pure golf girth with nowhere to hide that will require great prowess to conquer. Bunkers are found on each side of the fairway 175 - 200 yards from the green and beg you to avoid them if you are getting home in four strokes. The only reprieve comes at the green where the bunkers are catching balls going long left and right while leaving the front wide open. This is a man's hole that can make you weep pretty quick if you don't stay on top of your game.